The event was generously sponsored by the Wuxi Zhouyi Numerological Society, with support from the Provincial Government of Jiangsu Province and the Municipal Government of Wuxi City. 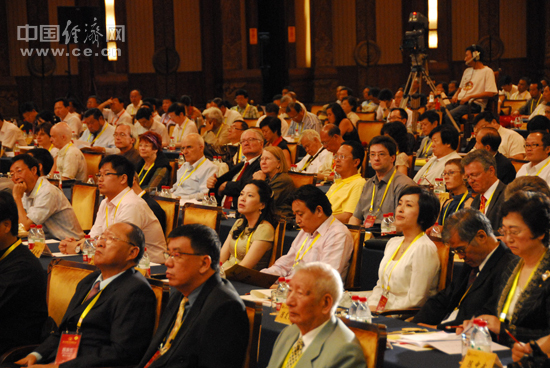 The opening ceremony and keynote speeches of the conference, on June 15, 2010, took place in the Wuguan Hall of the Ling Shan Fan-kung. On the second day, June 16, the group discussions, conference presentations and the closing ceremony took place at the Tai Hu Hotel, Wuxi. There is a Chinese report on the conference here, with a yours truely appearing in the second picture on the page (not sure how long this will stay live, so I'm reproducing the photo below). Most of the conference material was delivered in Chinese, and therefore outwith my ability to report on. However, one of the key note speeches was delivered in English (and translated into Manderin), and a complete session on the second day was entirely in English. Some details of these presentations are here. I've also included some pages with a few photos from the trip.